Campos, 24, is a technician in the IT department at Cameron Memorial Community Hospital in Angola. 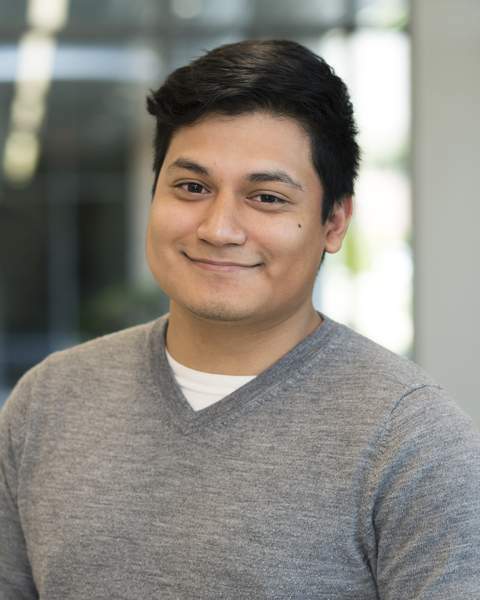 While attending Coldwater High School in Coldwater, Michigan, Campos was enrolled at the Branch Area Careers Center, where he studied information and communications technology. He received his IT certifications at the same time he graduated from high school. After graduation, Campos worked at a bank and then for a year at ProMedica Coldwater Regional Hospital. Two years ago, he applied for a job in the IT department at Cameron Memorial Community Hospital and was hired. The small, sometimes hidden engine that is responsible for almost every action that will transpire during the course of a day in a hospital is the IT department. The IT department is small, with nine employees to handle the technology issues of 54 departments and about 550 employees. Campos commutes to Angola from his home in Coldwater and works Monday through Friday, but is often on call should any tech issues arise. On a typical day, Campos finds himself running in several directions – from helping employees with the technical aspects of a presentation to making sure machinery is running smoothly and solving computer glitches. But that kind of harried activity is what he seems to thrive on.